Corporate Art Rentals art consultant Dagmar Cyrulla helped install new paintings and rearrange existing works at one of Melbourne’s premier Law firms. The new layout has created a fresh look for both associates and clients. 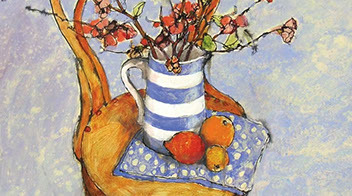 Four of Merryn Trevethan’s beautiful paintings have been reproduced as archival prints. These prints are have been so beautifully recreated and framed by the team at the Colour Factory, that they are hard to differentiate from the original paintings. A new luxury apartment development in South Yarra embodies the pinnacle of architectural achievement. 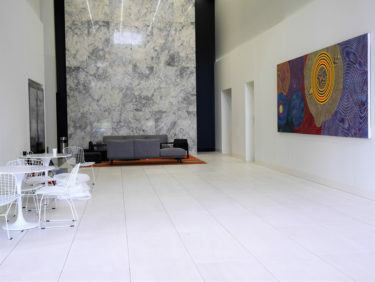 Corporate Art Rentals are delighted to supply original Australian artworks to this magnificent development. 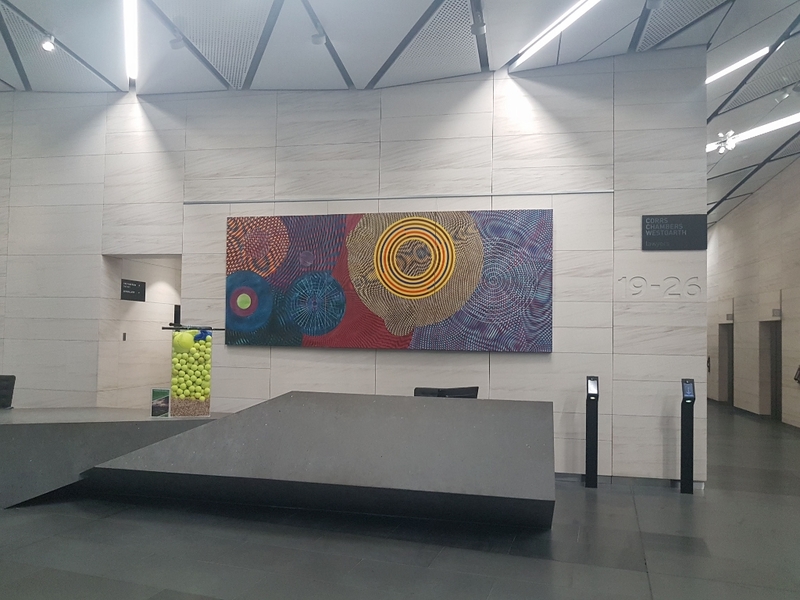 Corporate Art Rentals recently installed a 4 metre mesmerising artwork in the foyer of 567 Collins street. 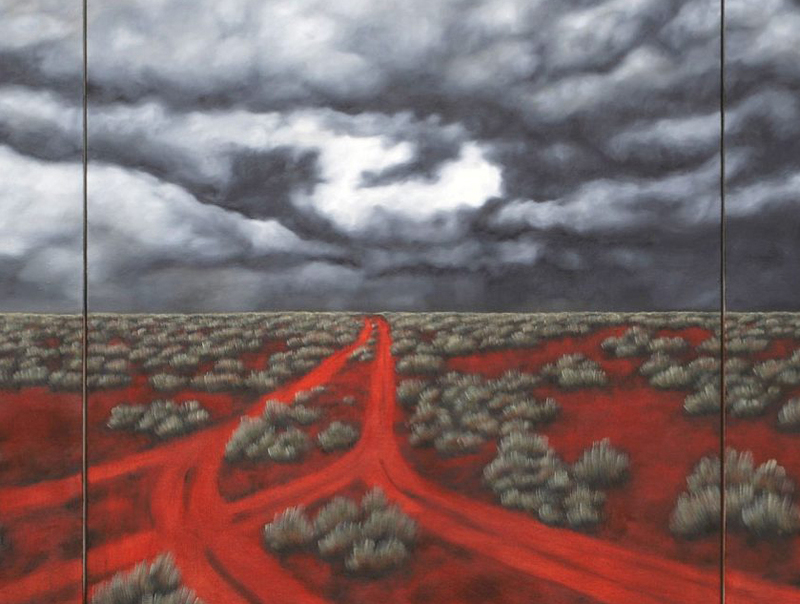 The painting titled Dislocation, is by Melbourne based, international artist John Aslanidis. 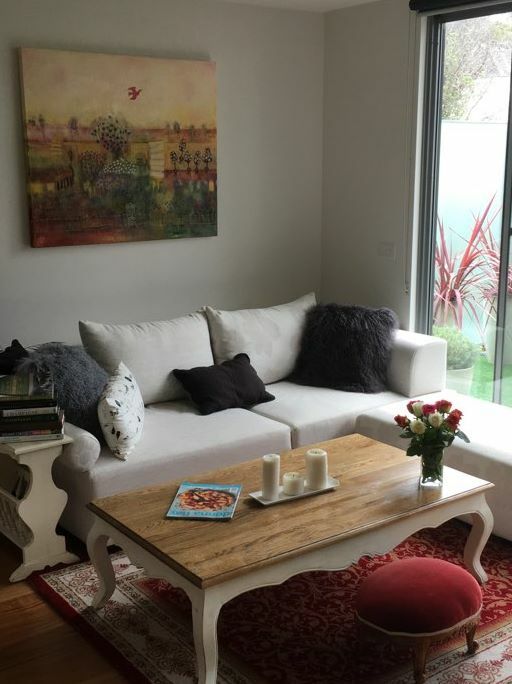 Essendon Fields (EF) is ideally located midway between Melbourne and Tullamarine airport. 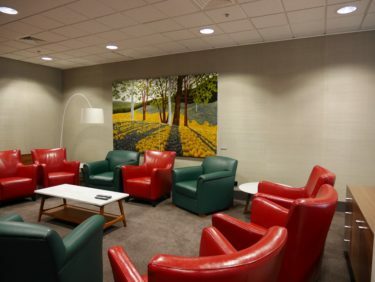 Corporate Art Rentals recently hung 5 paintings by artist Agneta Ekholm in the EF Centre business district. Essendon Fields comprises Essendon Fields Airport and 3 main Circles of Excellence; an Auto Centro, DFO and Homemaker, and EF Central. Currently, more than 6,000 people across a range of industries are employed at Essendon Fields. The EF Central business district features a Hyatt hotel and 200 active businesses including Linfox, Armaguard, Australia Post, The Good Guys and VicRoads. 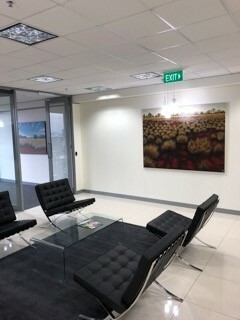 Corporate Art Rentals were recently engaged to hang artworks in one of Essendon Field Central office complexes. 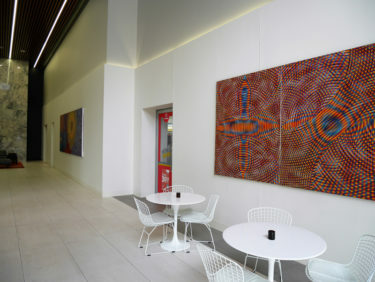 The brief was to transform a long empty corridor with bright and interesting Australian artworks. 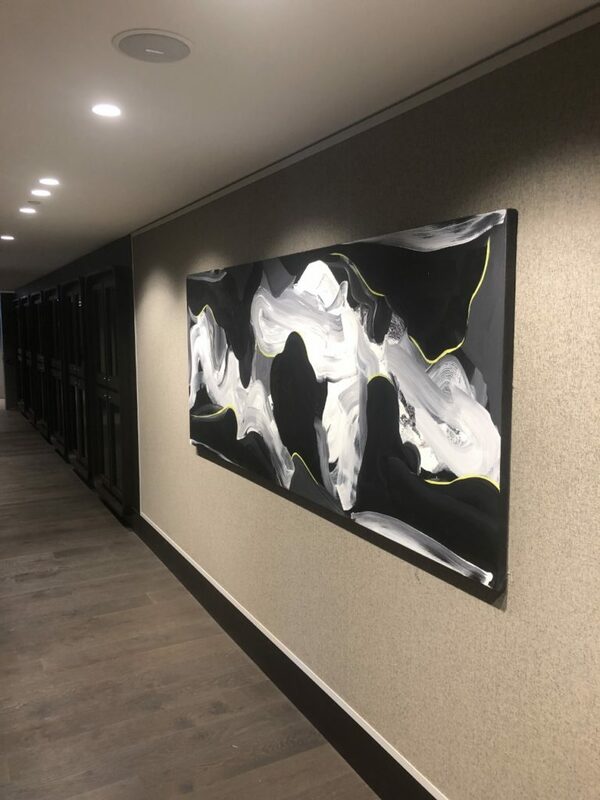 The client chose 5 of Agneta Ekholm’s mesmerising paintings to brighten and make the corridor a far more interesting and engaging entrance for the businesses located in the complex. Beautiful new artwork from Bruce Earles available for rental. 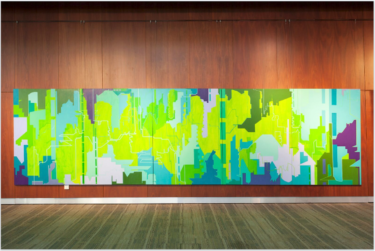 Corporate Art Rentals are delighted to offer a large 2 m wide Bruce Earles work titled ‘Rail Riders’ for rental to our customers. Bruce’s vibrant and colourful works explore the balance between work & leisure, or between our urban and natural environments. 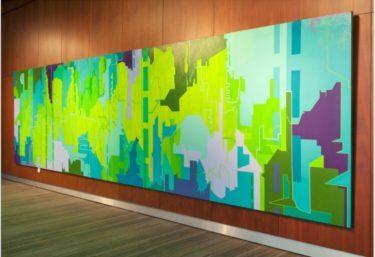 Corporate Art Rentals are delighted to offer a large 2 m wide Bruce Earles work titled ‘Rail Riders’ for rental to our customers. Bruce’s vibrant and colourful works explore the balance between work & leisure, or between our urban and natural environments. Each painting contains many layers of paint (washes) to create the depth that Bruce wants to convey and then each drawing is attended to individually to give the entire painting a sense of comprehension and balance. 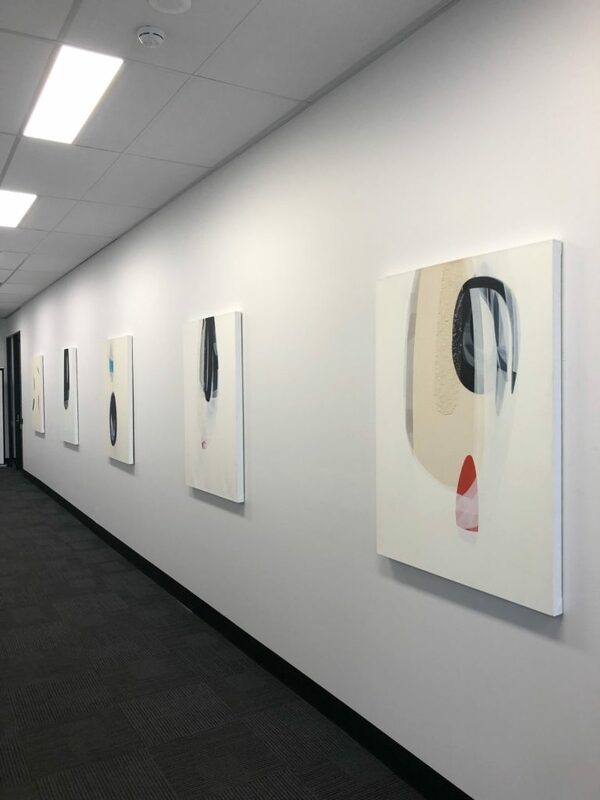 Bruce’s works are very popular with Corporate Art Rental’s clients as they inevitably brighten up any workspace and create a discussion point for staff and clients. Amaru is a small and intimate dining room in Armadale offering a contemporary Australian tasting menu. 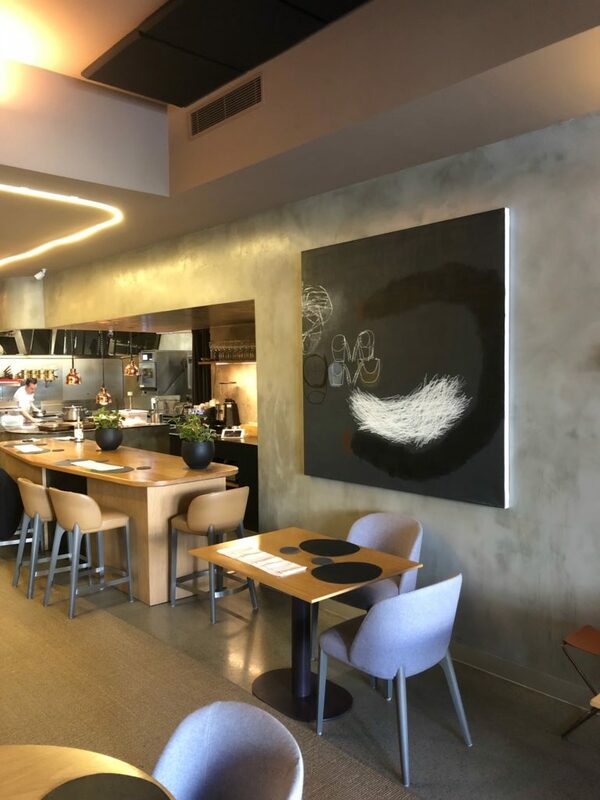 AMARU have recently hung two beautiful paintings by Corporate Art Rentals artist Marise Maas in their dining room. Diners now get to enjoy not only Amaru’s fine cuisine, but also Marise’s beautiful works. Amaru is a small and intimate dining room in Armadale offering a contemporary Australian tasting menu. 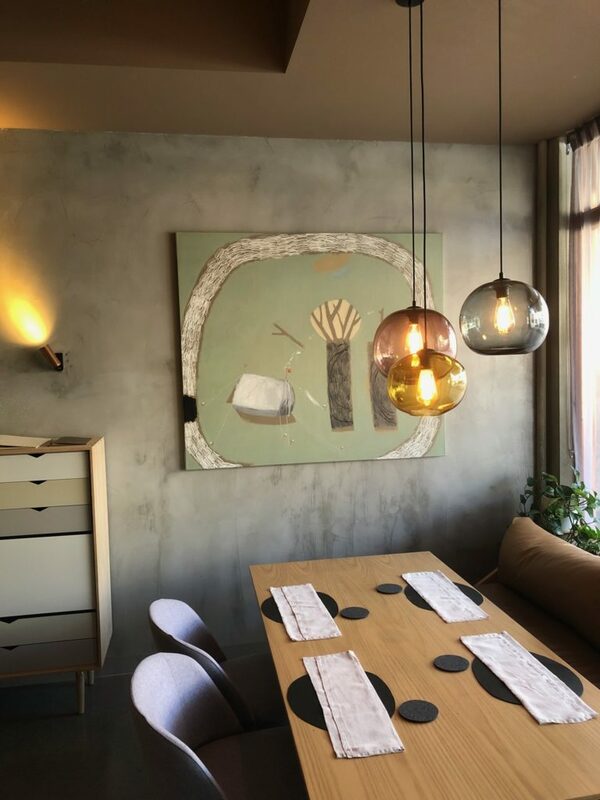 AMARU have recently hung two beautiful paintings by Corporate Art Rentals artist Marise Maas in their dining room. 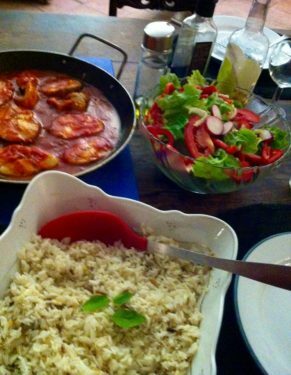 Diners now get to enjoy not only Amaru’s fine cuisine, but also Marise’s beautiful works. 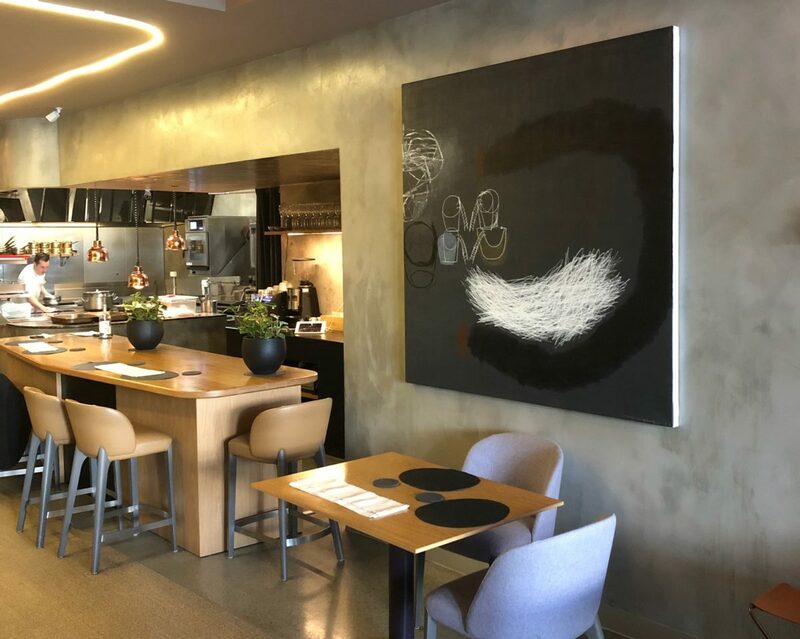 By renting artwork through Corporate Art rentals, Amaru can update their artwork every year and help reflect their vision for the ultimate dining experience. 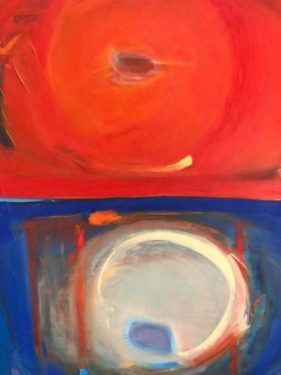 Exhibition by artist Karen Standke – “Full Circle”. 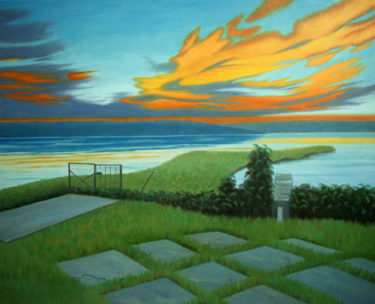 One of Corporate Art Rentals most popular artists is Karen Standke. 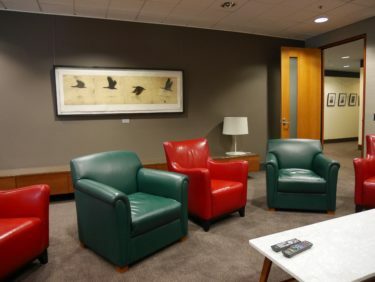 Several of our customers rent Karen’s beautiful paintings in their foyers & reception areas. 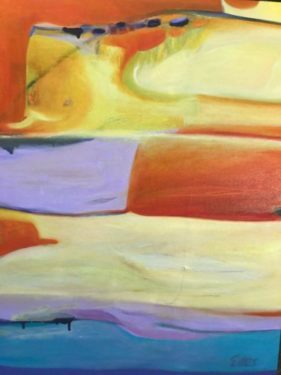 Karen’s vibrant and colourful depictions of the Australian outback are truly mesmerising and they make a magnificent statement piece for your clients’ first point of entry. 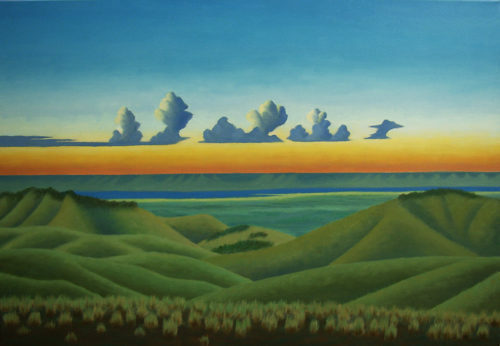 One of Corporate Art Rentals most popular artists is Karen Standke. 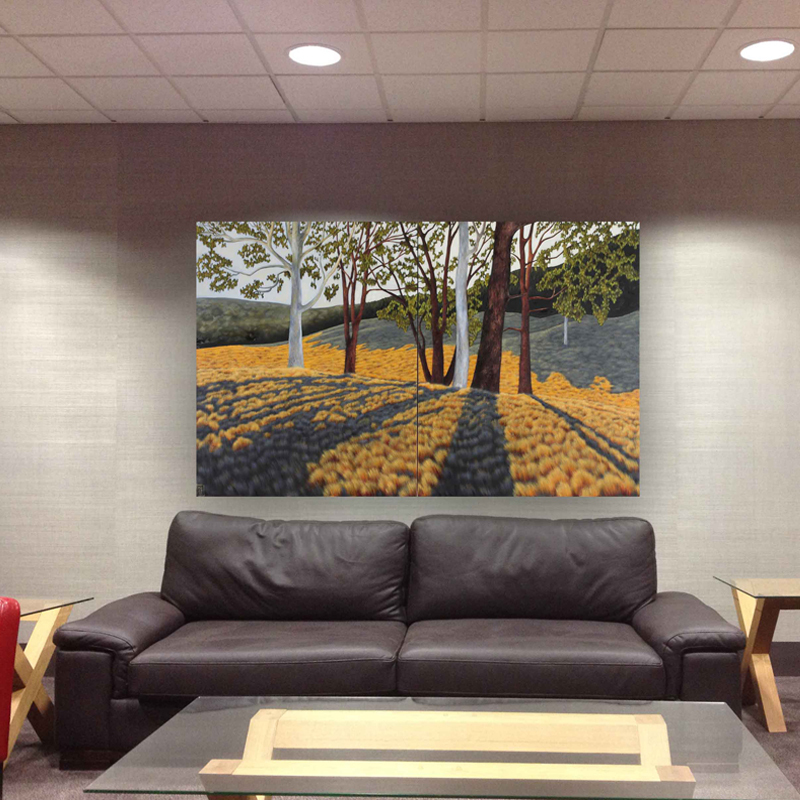 Several of our customers rent Karen’s beautiful paintings in their foyers & reception areas. 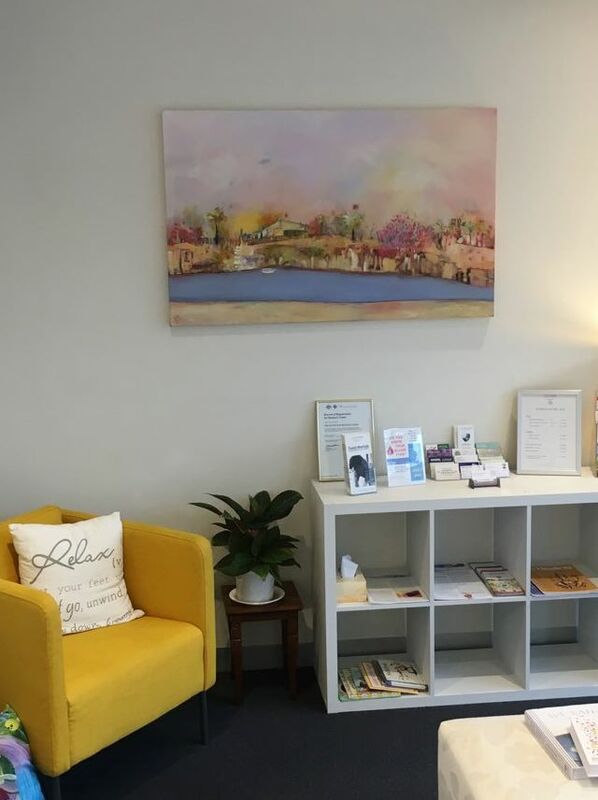 Karen’s vibrant and colourful depictions of the Australian outback are truly mesmerising and they make a magnificent statement piece for your clients’ first point of entry. 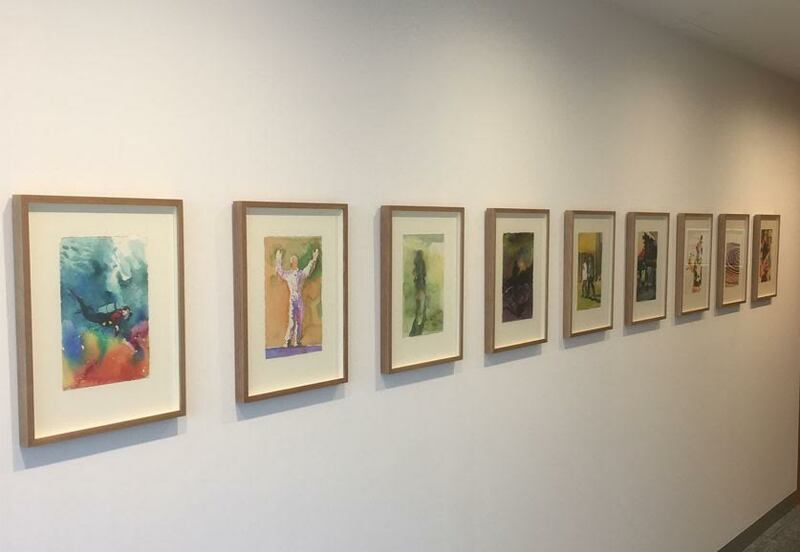 Karen has recently returned from a trip around Australia and is exhibiting her new works at the Manningham Gallery and will be giving her artist’s talk at Manningham on Monday 23rd July at 12pm. Click here for more information on Karen’s exhibition. 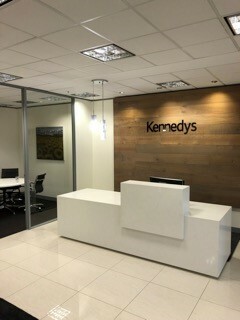 Kennedys Lawyers contacted Corporate Art Rentals for the installation of artwork at their William Street offices in Melbourne. A customer recently rented two of Nichola Malpas’ whimsical works. One was for her office and the other for her home. A customer recently rented two of Nichola Malpas’ whimsical works. One was for her office and the other for her home. 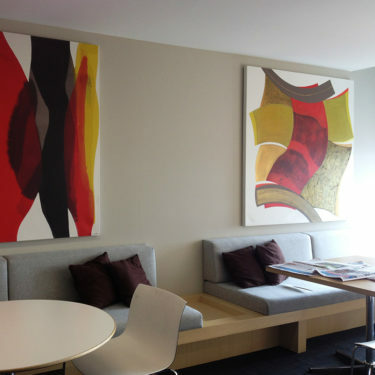 In both environments, Nichola’s work added a touch of colour and helped create a peaceful environment for work and play. 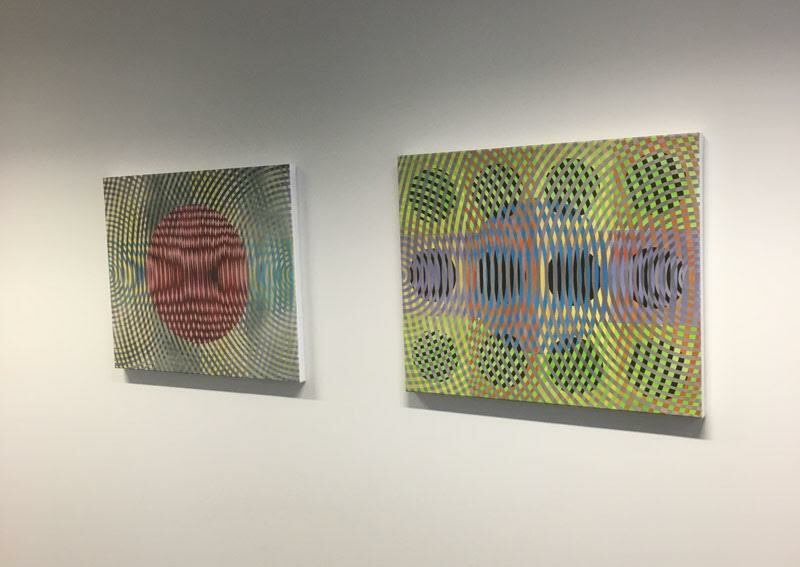 Melbourne firm, IDP Lawyers, are supporting Australian artists by installing artwork by artists Karen Standke and Dena Ashbolt in their new Melbourne office. 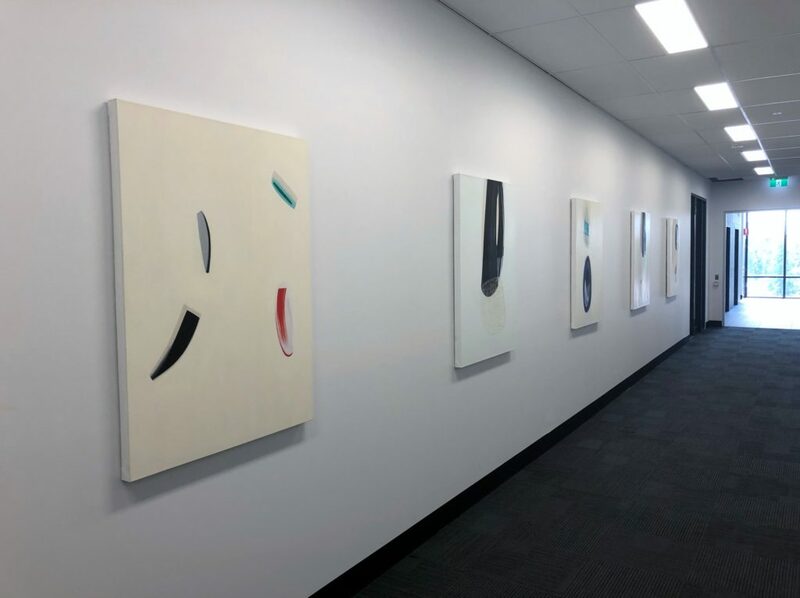 Melbourne firm, IDP Lawyers, are supporting Australian artists by installing artwork by artists Karen Standke and Dena Ashbolt in their new Melbourne office. 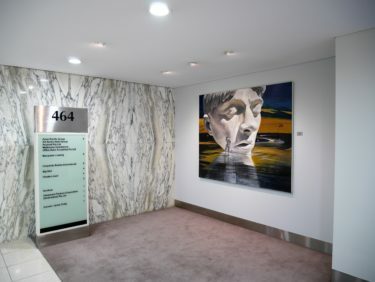 The paintings and drawings add a finishing touch to IDP’s already impressive facility located in William St. Corporate Art Rentals’ trusted supplier, Ellis Art Installation were engaged to install a tracking system so that the artwork can easily be swapped over to new works at a future date. 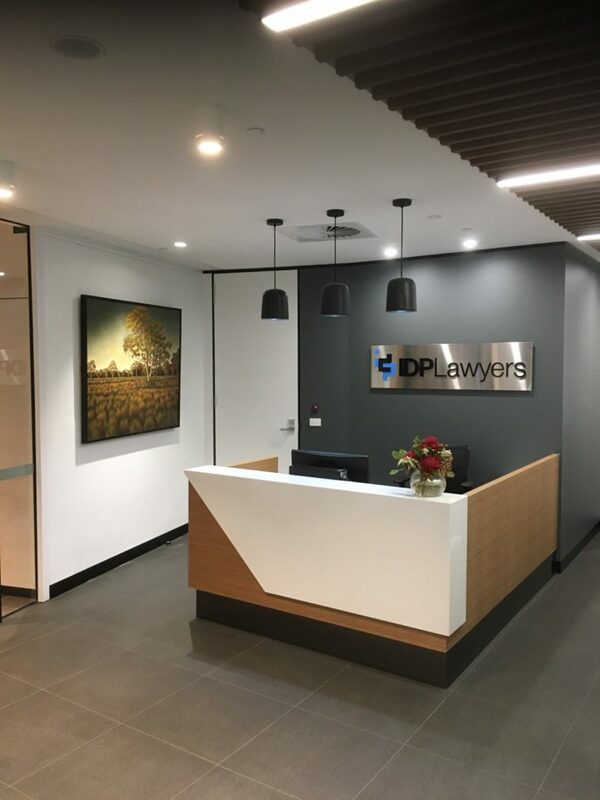 This allows IDP Lawyers to update the look and feel of their office periodically, at a minimal cost. 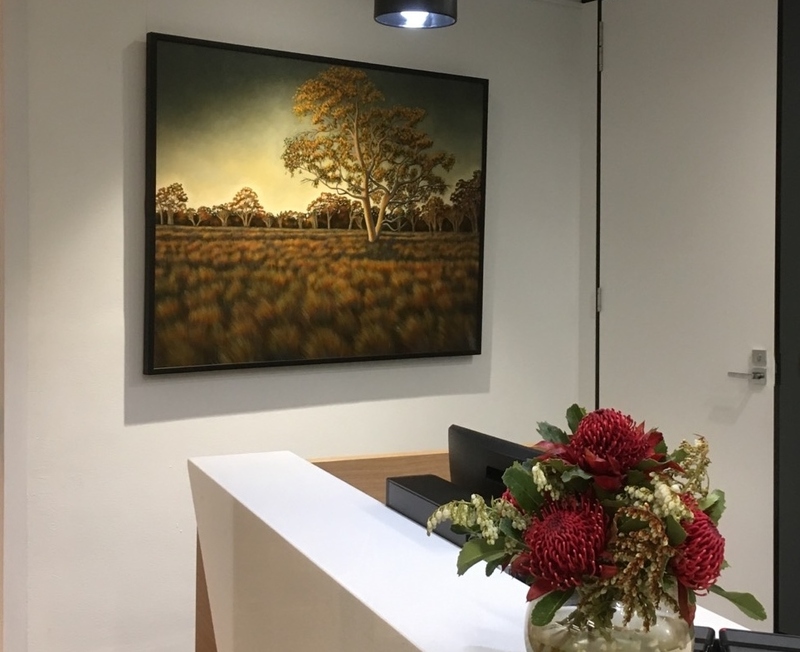 Corporate Art Rentals recently installed this bright and colourful painting in the general office at Rollease Acmeda’s impressive facility in Brunswick Melbourne. 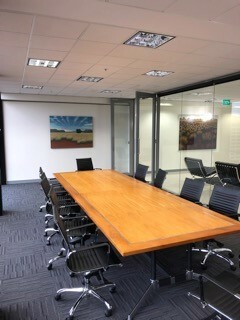 The painting has really brightened up the workspace and was very popular with the office staff. 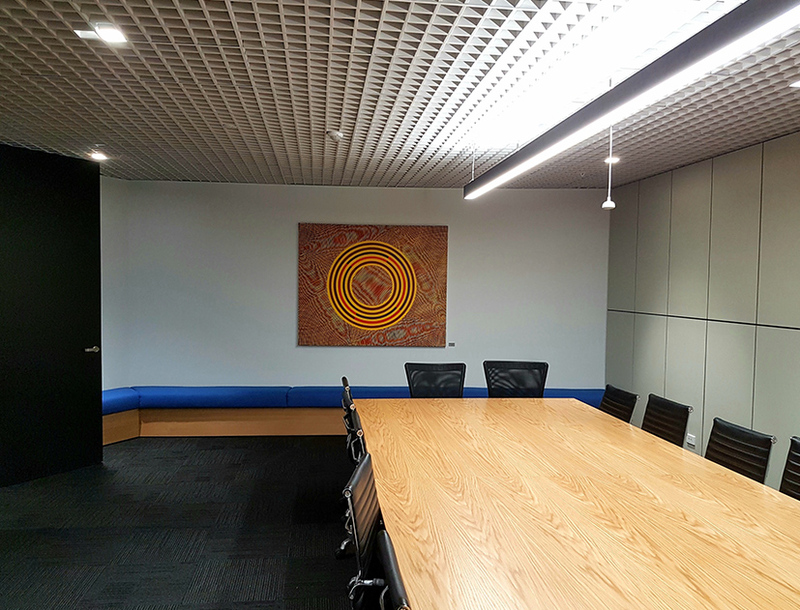 Corporate Art Rentals recently installed this bright and colourful painting in the general office area at Rollease Acmeda’s impressive facility in Brunswick Melbourne. The new artwork has really brightened up the workspace and is very popular with the office staff. Gabrielle Jones painting selected as “exceptional”. 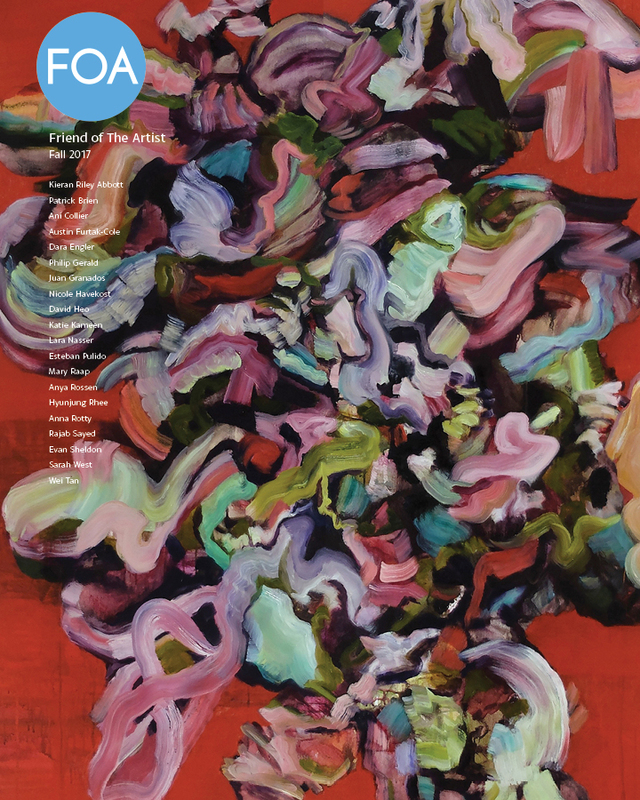 Congratulations to Corporate Art Rentals artist, Gabrielle Jones on having her painting described as one of four “exceptional” paintings by the prestigious NYC/American publication, ‘Friend of the Artist’. 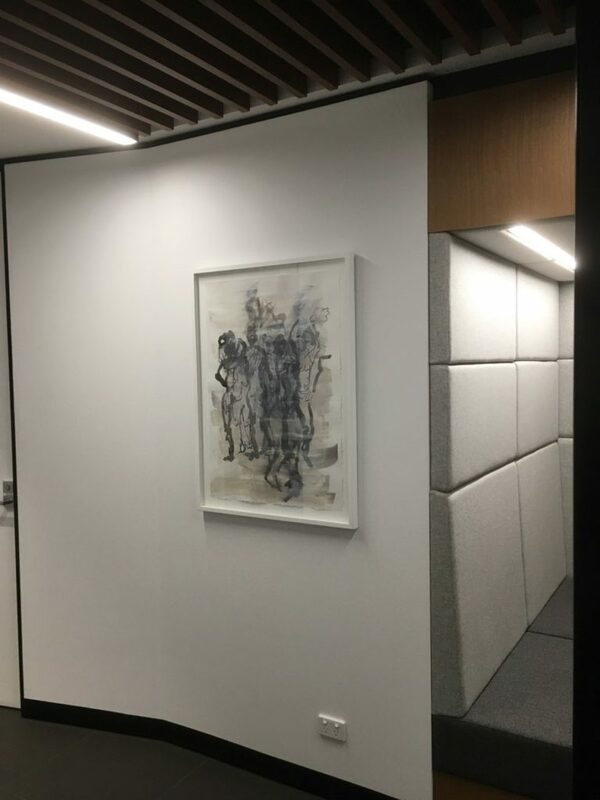 Corporate Art Rentals recently completed a project with an established financial company with its offices at La Trobe St, Melbourne. 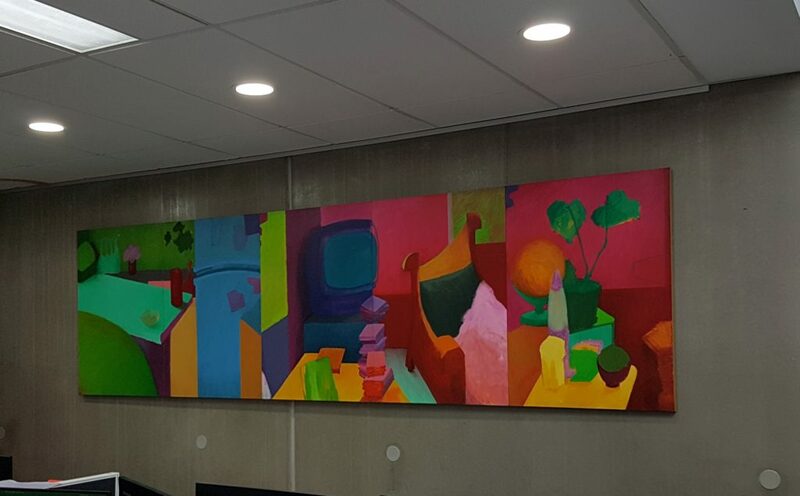 The new artworks were required to complement the renovations that had been recently completed in the offices. 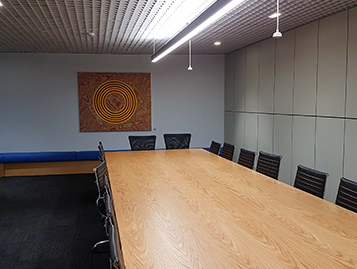 Corporate Art Rentals recently completed a project with an established financial company with its offices at La Trobe St, Melbourne. 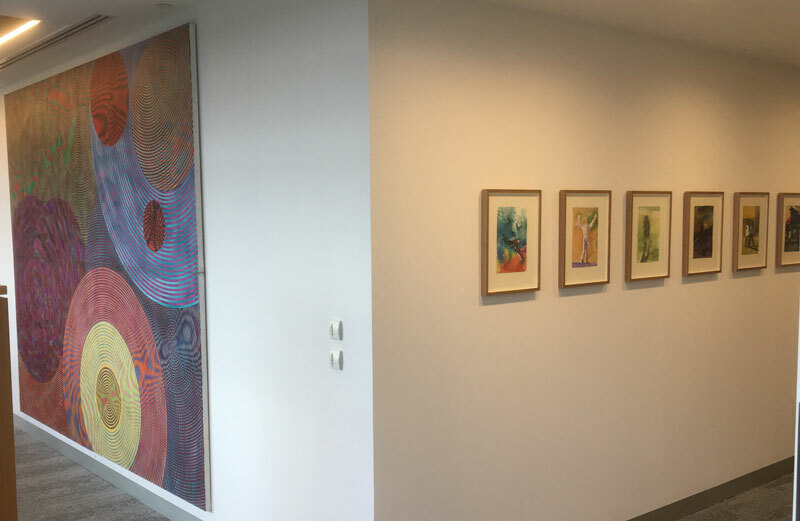 The new artworks were required to complement the renovations that had been recently completed in the offices. 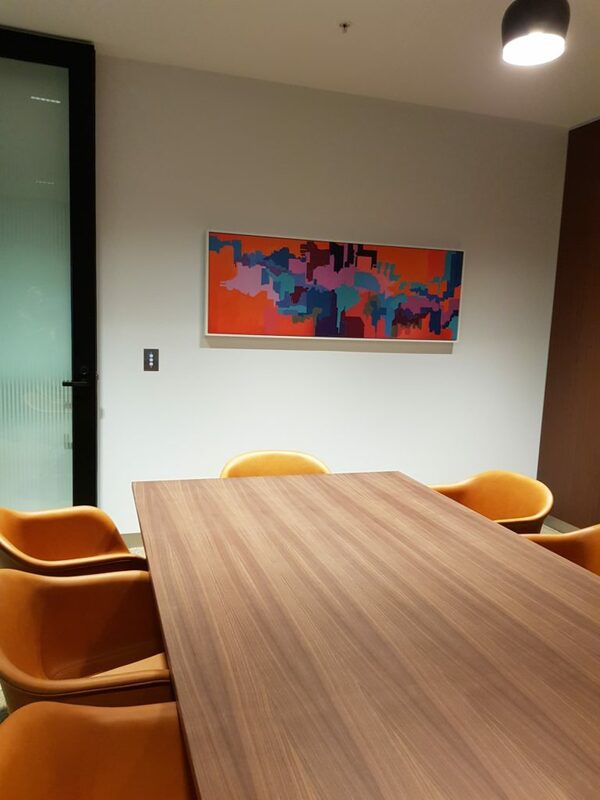 The company was interested in enhancing their décor with original artwork for the office, which would also be a conversation starter with clients and customers who frequently visit the office. 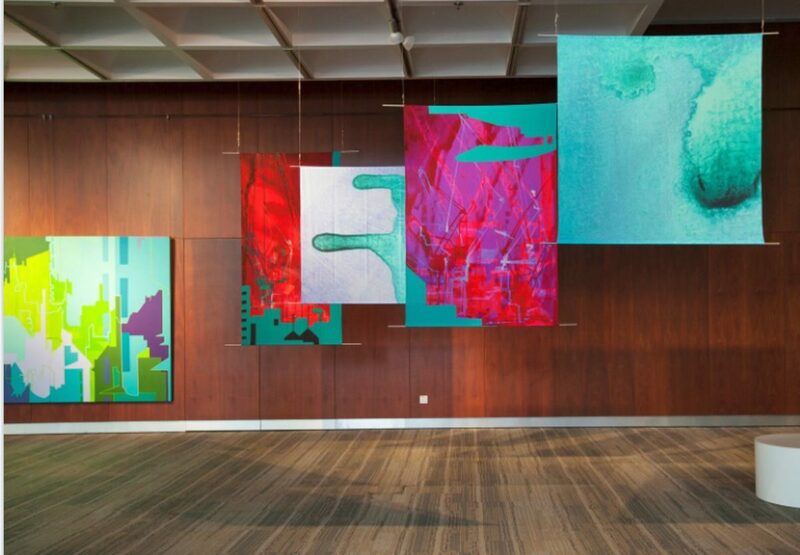 Dagmar Cyrulla at Corporate Art Rentals consulted with the company to provide a total of 15 artworks for the offices, comprising work by artists John Aslanidis and Maryanne Coutts. The artworks for offices were finalised following extensive consultation with the company’s interior designer. 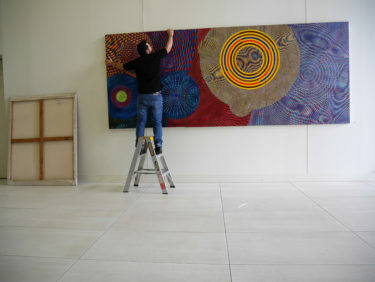 The artworks were installed by Ellis Art Installations, our key supplier. When clients are interested in installing office wall art, they usually have an idea of the kind of art they visualise seeing hung up in their offices. 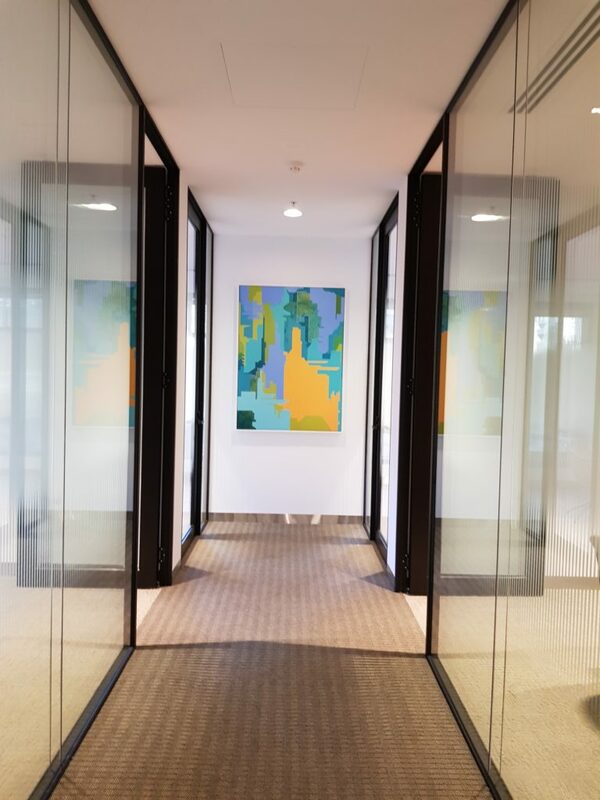 They may not necessarily have an eye for art and be familiar with different artwork styles, but a preference in colours and broader themes is a good starting point to identify the best artwork for offices. 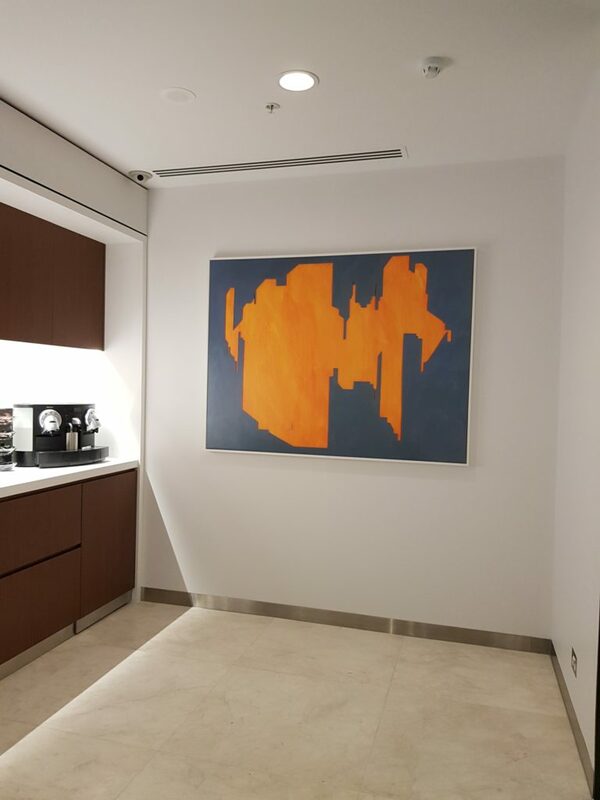 In the case of this project, the client was conscious of choosing paintings for office that were aligned with their spiritual and aesthetic preferences, which helped narrow the artwork options. Other factors borne in mind were the appropriate artwork sizes for the offices, since the chosen artwork for office space must be in proportion to it. The client was keen to finalise artworks that were appealing and a conversation starter, while also being consistent with their spiritual and aesthetic preferences. Bearing these requirements in mind, Dagmar selected ‘Sonic Network No. 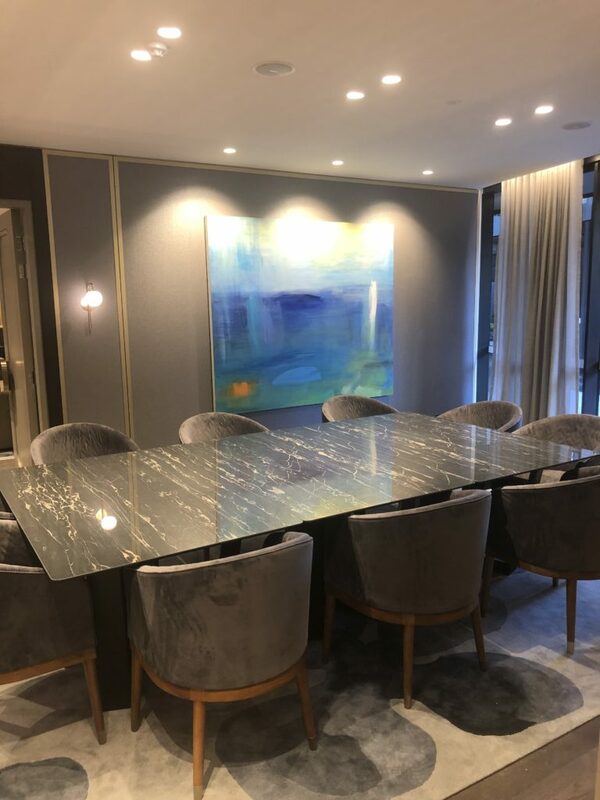 1’, a 3 metre artwork by Aslanidis as the statement piece for this project, and smaller works by both Aslanidis and Coutts for other office areas. It was great to see the company’s staff interact with the paintings as they were being hung. The final result was a great finishing touch to a world class interior design fitout. Ian Wells’ exhibition, “The Difficult Third”. Closes 16 Sept ’17. 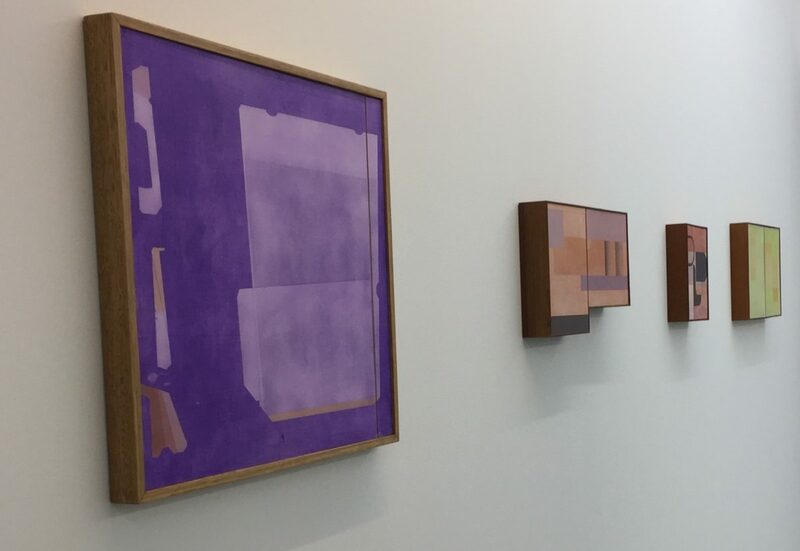 Corporate Art Rentals’ artist, Ian Wells is exhibiting his work at the Five Walls Projects gallery in Footscray. In Ian Wells’ paintings, allusions to tabs, folds and slots and the deliberate misuse of the symbols of cardboard packaging, tease our sense of recall with recognisable forms. Corporate Art Rentals’ artist, Ian Wells is exhibiting his work at the Five Walls Projects gallery in Footscray. In Ian Wells’ paintings, allusions to tabs, folds and slots and the deliberate misuse of the symbols of cardboard packaging, tease our sense of recall with recognisable forms. Artwork for offices is usually the last thing left on the renovation agenda. 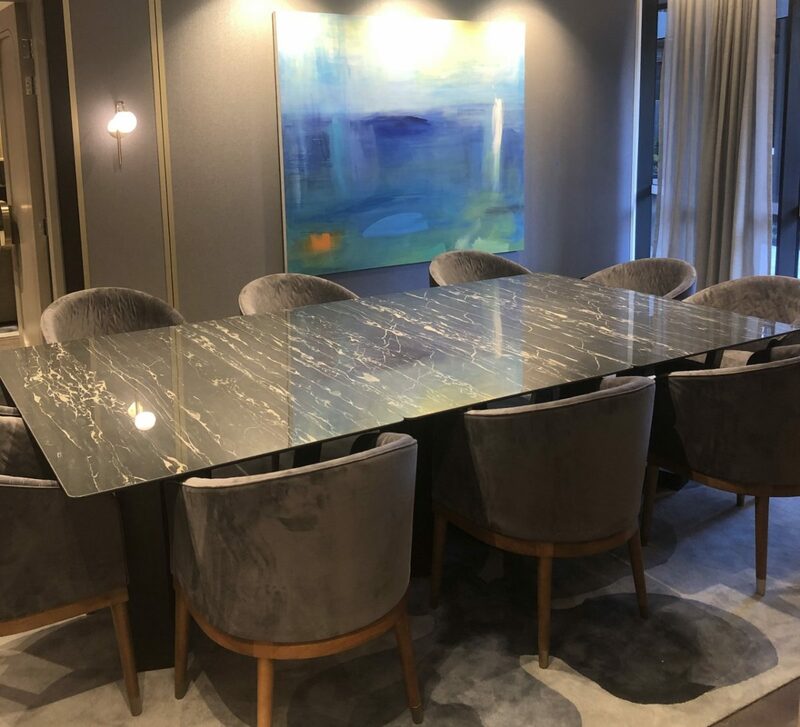 What is often not understood, is that original artwork makes a difference to the working environment and positively influences a company’s staff. Artwork for offices is usually the last thing left on the renovation agenda. Even then, many business managers think of hanging prints, rather than original art by Australian artists. 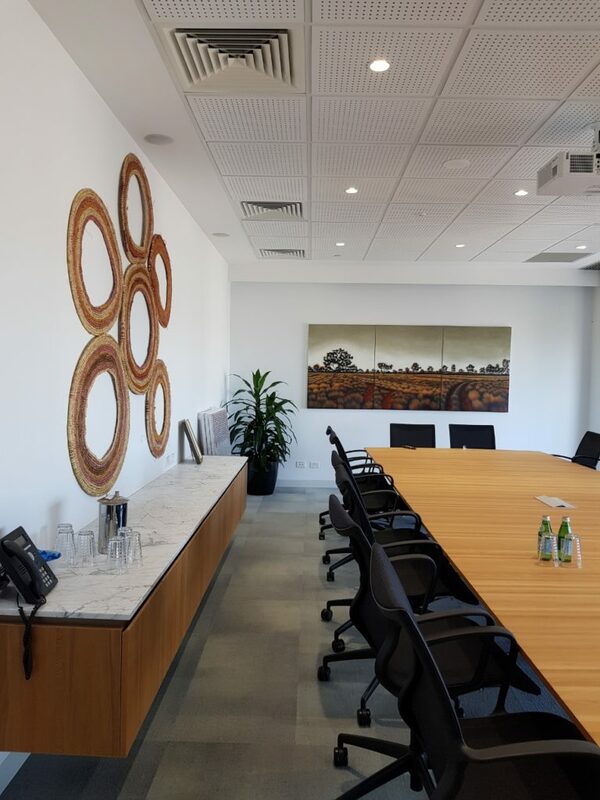 But, what is often not understood, is that original artwork makes a difference to the working environment and positively influences a company’s staff. Original art for office has a life energy that a print doesn’t offer. It is the result of an artist’s passion and imagination, with each stroke bringing an idea to life. At Corporate Art Rentals, we have often seen people really respond to office wall art. Whenever we hang new works, we are always delighted to see how staff and customers respond and engage with the works. This is especially so for bright & colourful works, such as Peter Griffen’s abstract paintings. These types of works lift not only the office space, but also the spirits of office staff, making their work environment more attractive and conducive towards creative thinking. Art is also known is inspire and encourage creativity among the workforce. 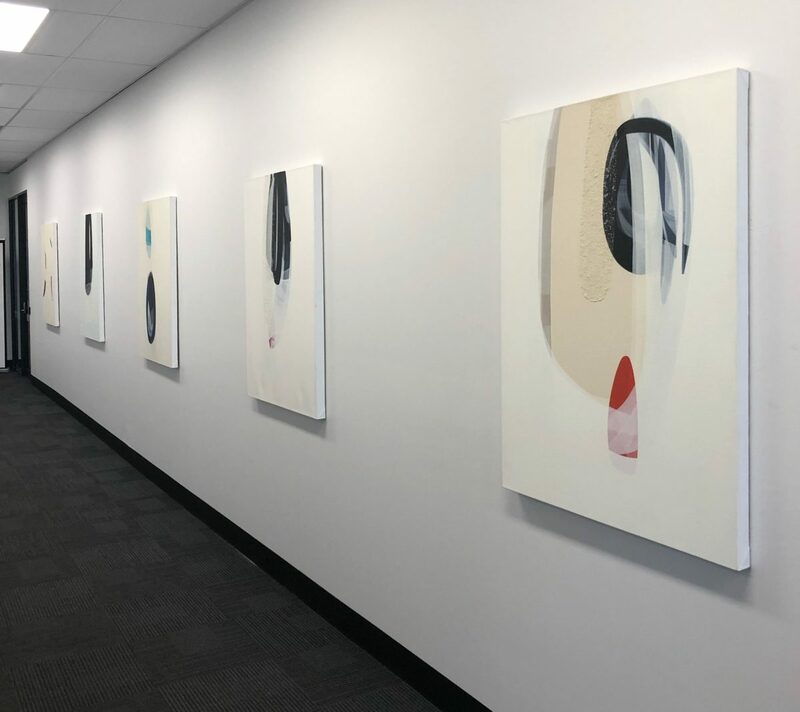 The presence of original art in the workspace helps employees overcome a mental block, since they’re able to look away from their work into something that inspires innovation. While these ideas may be abstract at first, they can be developed further into something that’s more substantial. Office art is also a good conversation starter, making it a valuable addition to offices that are frequently visited by clients. 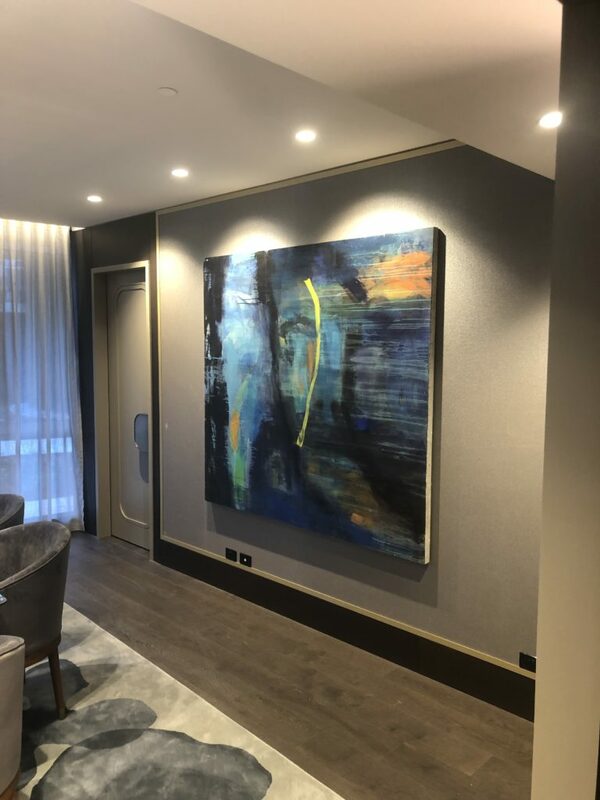 Original artworks can often also be used to represent the business you’re in, since they would make a client feel comfortable and relaxed, while also making an emotional connection with them in the process. Office wall art can inadvertently help break the ice when meeting clients for the first time, setting the stage for a meeting that’s less intimidating. One of the bigger advantages of using original artwork for offices is that they can also double up as a good branding exercise. Commissioning an artwork allows you to suggest brand colours or discuss ways in which the art can effectively represent the brand. Artwork would be a subtler approach to branding without appearing too promotional, since it’s the manifestation of an idea and not just a mere marketing tactic. 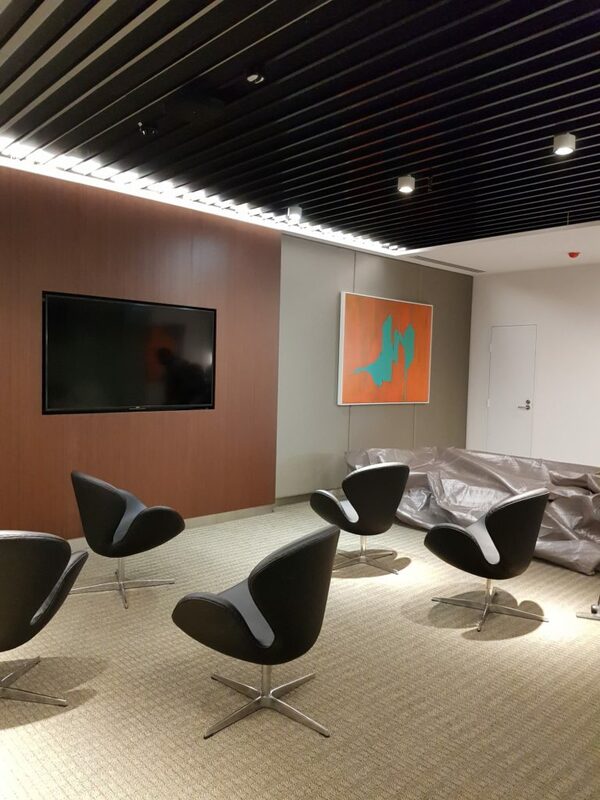 Contact Corporate Art Rentals today for office art that will transform your workspace. 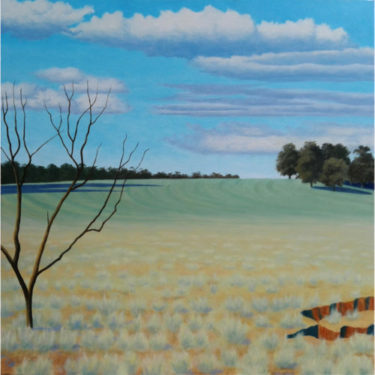 Visit the Tacit Contemporary Art Gallery between the 23 August to 10 September to see Corporate Art Rental’s artist Geoff Harrison’s exhibition of his beautiful landscapes. 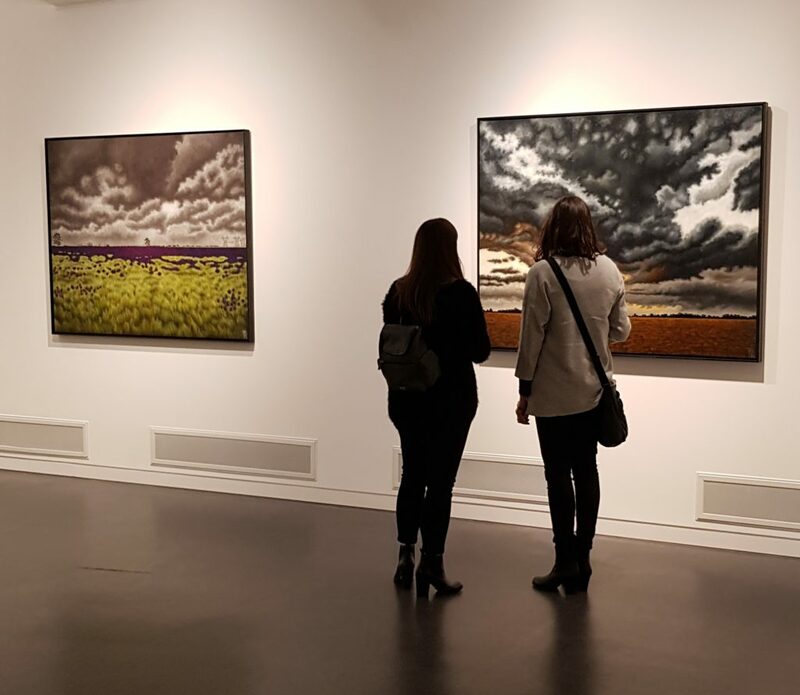 Visit the Tacit Contemporary Art Gallery between the 23 August to 10 September to see Corporate Art Rentals artist Geoff Harrison’s exhibition of beautiful landscapes. Geoff completed his Bachelor Of Arts (Fine Art), at RMIT in Melbourne. He also completed the prestigious Drawing Marathon, run by Graham Nickson at the Adelaide School of Art. Geoff partook in an Associated Diploma in Art and Design, as well as gaining his Associate Diploma in Cartography at RMIT. Painting for Geoff is a journey of self-discovery and he is constantly pushing himself to the limits of his ability to achieve this. He often feels the aim of his paintings is to punch holes in the gallery walls and let the daylight in, or nightlight depending on the work. 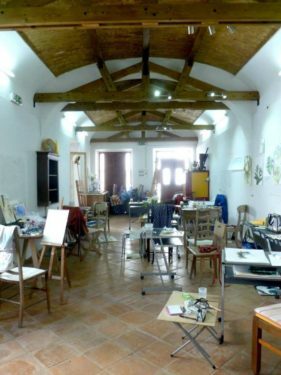 Geoff’s works are atmospheric, peaceful and draw the viewer into their space. 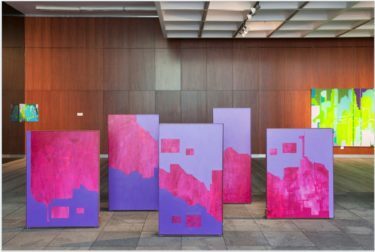 Corporate Art Rentals installed three of Agneta Ekholm’s large artworks in the foyer of the Arcadia residential complex earlier this year. Arcadia is a beautiful building, designed by renowned architects Fender Katsalidis and located in Parkville directly opposite the Royal Park. The building’s residential association, lead by Gloria and her team, wanted to give the building’s residents an opportunity to meet the artist and better understand the design philosophy and technical process behind her paintings. 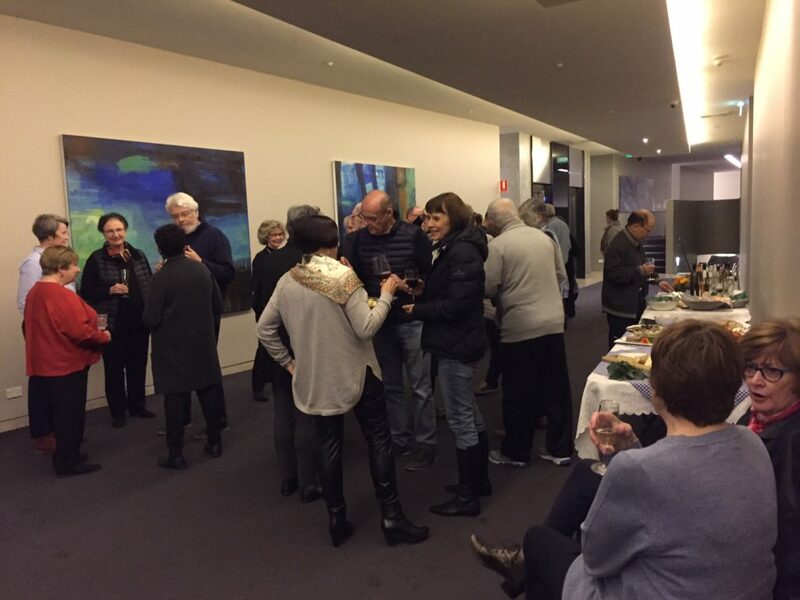 Consequently they organised a fantastic evening of food and wine to celebrate the new work and to meet Agneta. We were all surprised at the interest shown and the large turn out of residents . 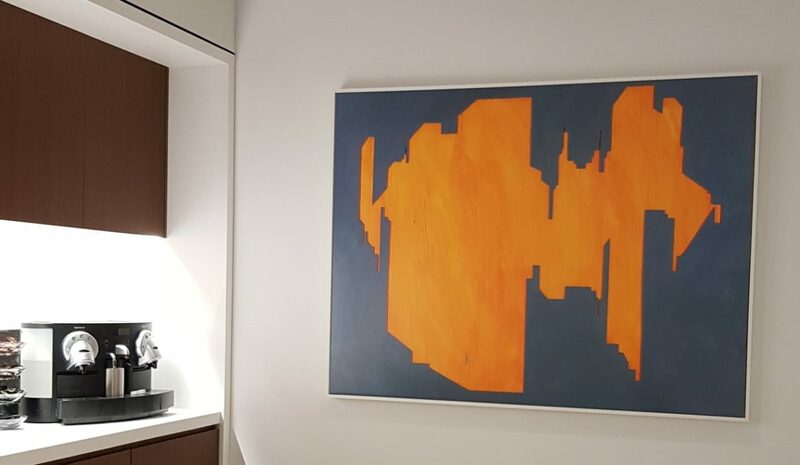 We discussed art and had great conversations about Agneta’s works and how paintings can enhance foyers, offices and corporate work spaces. 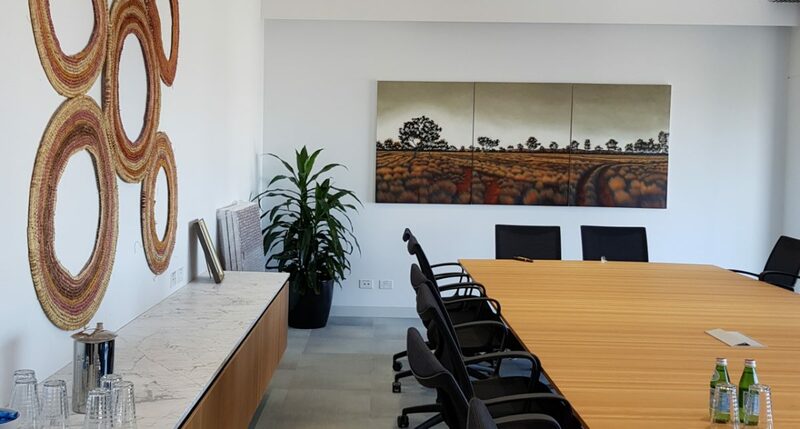 Corporate Art Rentals recently consulted to the Downer Group to provide office art for the boardroom in their Melbourne office. The project had to be completed within a week, since a board meeting was scheduled to take place immediately after the installation. 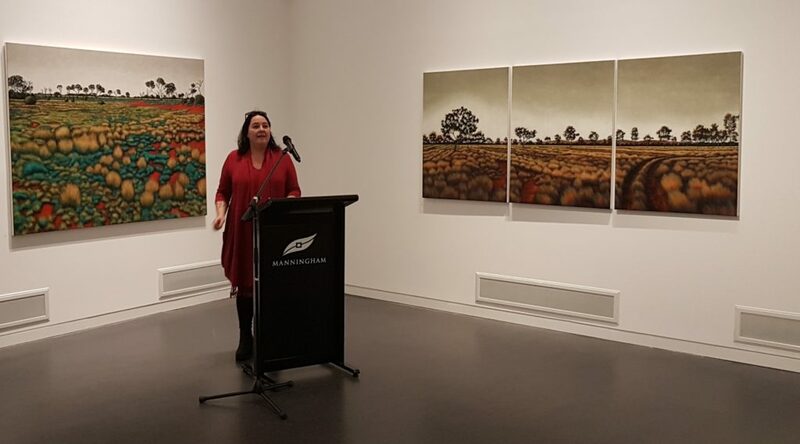 Congratulations to Corporate Art Rentals artist, Karen Standke for her work being exhibited at the Ballarat Gallery’s, ‘Black Mist Burnt Country’ exhibition. The exhibition finishes on the 5th February. Karen’s work is amongst a group of indigenous and non indigenous artists commemorating the little known story of the British atomic tests at Maralinga in the 1950’s. Karen’s large triptych work, ‘Road to Maralinga II’ features on the Ballarat Gallery’s website promoting the exhibition. 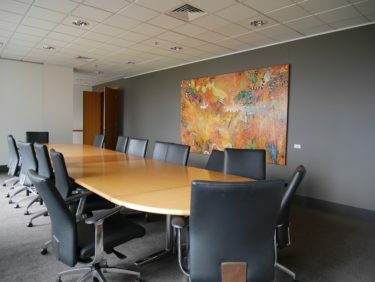 Whilst this work may be unavailable due to it being exhibited, you can lease other of Karen’s paintings from Corporate Art Rentals. View Karen Standke artworks ! 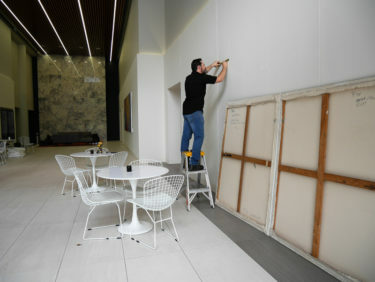 Recently, Corporate Art Rentals hung two very large artworks in the foyer of 580 St Kilda Rd, Melbourne. The end result looks magnificent and is another example of a business being transformed by hiring paintings from Corporate Art Rentals. 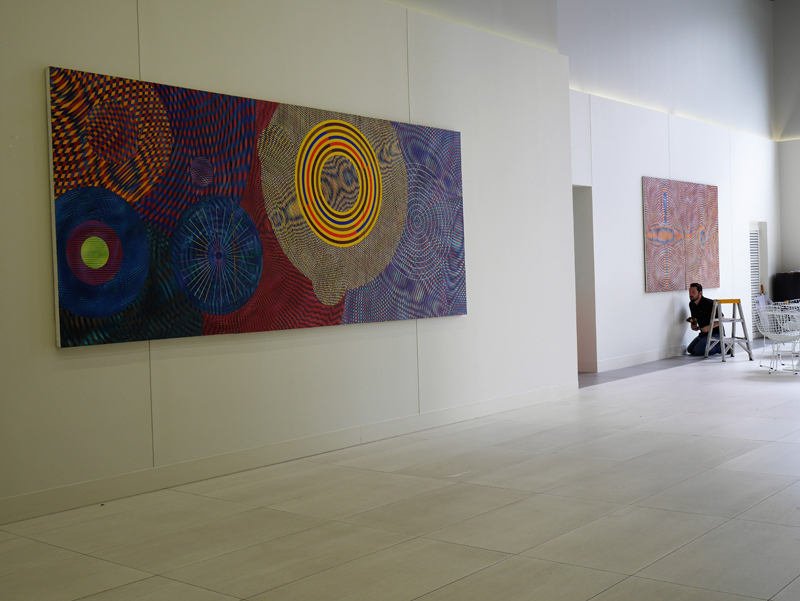 Recently, we updated the artwork at the VACC in Melbourne to coincide with the appointment of a new VACC Director. 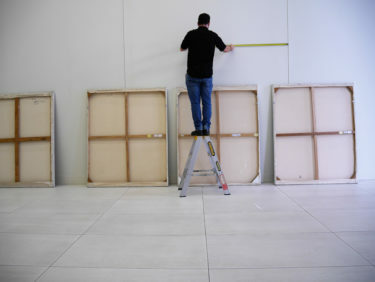 Corporate Art Rental’s newest artist, Geoff Harrison, completed his Bachelor Of Arts (Fine Art), at RMIT in Melbourne. He also completed the prestigious Drawing Marathon, run by Graham Nickson at the Adelaide School of Art. Corporate Art Rental’s newest artist, Geoff Harrison, completed his Bachelor Of Arts (Fine Art), at RMIT in Melbourne. He also completed the prestigious Drawing Marathon, run by Graham Nickson at the Adelaide School of Art. Geoff also partook in an Associated Diploma in Art and Design, as well as gaining his Associate Diploma in Cartography at RMIT. Painting for Geoff is a journey of self-discovery and he is constantly pushing himself to the limits of his ability to achieve this. He often feels the aim of his paintings is to punch holes in the gallery walls and let the daylight in, or nightlight depending on the work. Geoff’s works are atmospheric, peaceful and draw the viewer into their space. They will enhance and brighten any office area or foyer, transforming it into a professional and energised space for both staff and clients. Geoff’s paintings can be rented for as little as $66.00 per month. Check out Geoff’s work below. 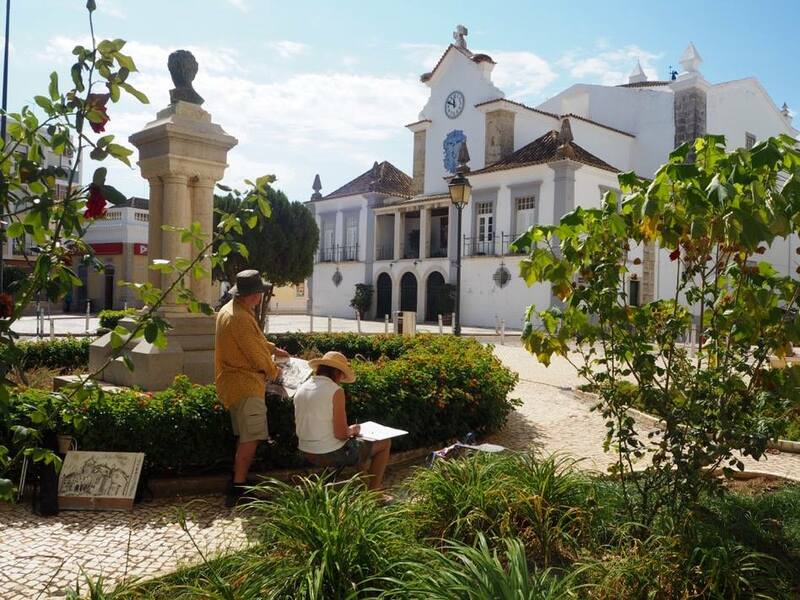 Join one of Corporate Art Rental’s artist Peter Griffen and his wife Denise Lithgow at an exclusive art workshop in Olhao, Portugal between 24th to the 31st of May 2017. The package of comfortable accommodation, all meals and tuition from Peter and Denise is available only for £865.00 (approx. A$1,500) per person. 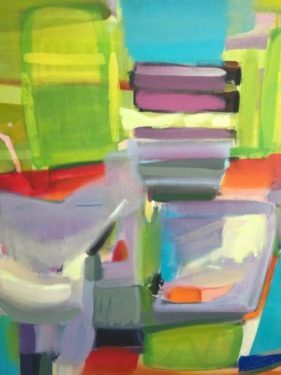 About Peter Griffen – Peter works as a full-time artist in Sydney and is influenced as much by the classical painting of the Renaissance as by the serendipity of abstract expressionism. His work can be found in many galleries and private collections throughout Australia and Europe. We are pleased to welcome Hele Ellis to Corporate Art Rentals. Hele had her first solo exhibition in 1986 in Hamburg, Germany, and in 1996 her first solo show in Australia, Byron Bay. 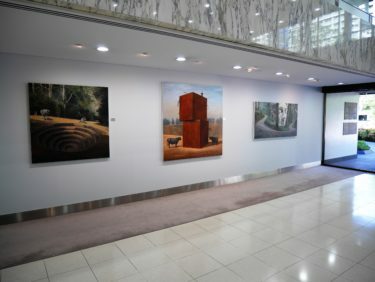 Corporate Art Rentals recently installed artwork by Karen Standke, Martin King & Peter Griffen at Melbourne Law Courts. The look and feel of the court work spaces was enhanced by these excellent works of art. 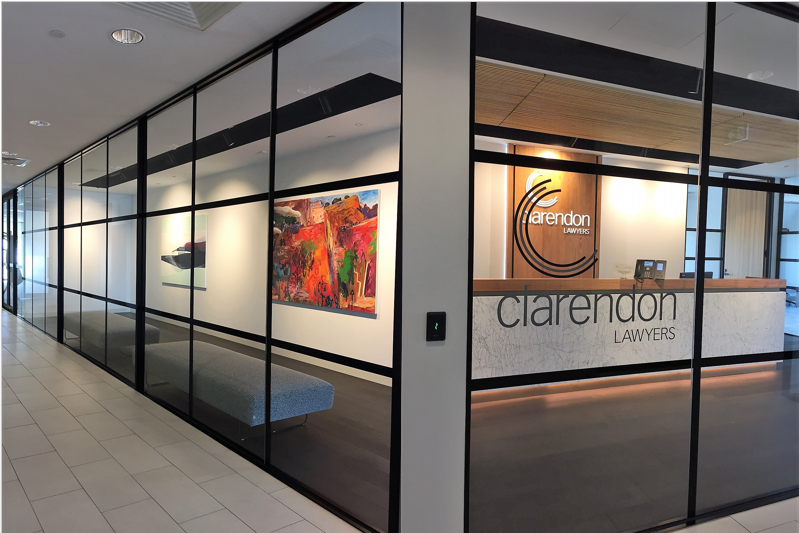 Corporate Art Rentals worked closely with the Law Courts’ staff to ensure the outcome was consistent with the Courts’ stated goals and values. Merryn Trevethan, a Singapore-resident, Melbourne-native artist is proud to present a body of work that marks a chapter of her practice entitled “The Party’s Over”. Merryn Trevethan, a Singapore-resident, Melbourne-native artist is proud to present a body of work that marks a chapter of her practice entitled “The Party’s Over”. Merryn’s inspiration stems from her observation of the urban landscape of globalised cities. Her selected engagements in Singapore include being awarded First Prize for the DRIVE – Public Art Open Call for her work “Accelerator City”, where she painted a mural on an outdoor wall at Gillman Barracks. 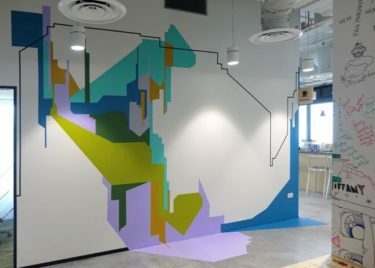 In 2015, Trevethan was commissioned to create artwork for the new Facebook Headquarters at South Beach Tower, Singapore, as part of the Facebook Artist in Residence Program and is currently in the process of expanding this project. 580 St Kilda Rd welcomed Swedish artist Agneta Ekholm to the hanging of her large paintings in the building entrance foyer. Our curator, Dagmar Cyrulla recently interviewed two established and well-known Melbourne artists, Syd Tunn and Ona Wendy Henderson. 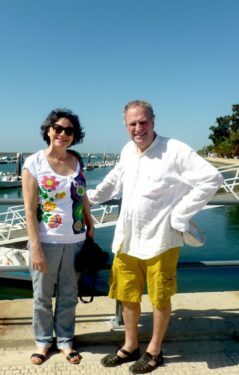 Click here to meet Syd and Ona at their Bend of Islands studio and discover how they make their living through art.